Although Shore Leave 2014 is winding down, this won't be the last post. Once I get some rest and load some pictures and tell a bit about what went on her. Right now, I'm sitting about fifty feet from Richard Dean Anderson and less than twenty feet from Teryl Rothery while they do their final autograph session. Michael Welch is also working hard at the table to Teryl's right. They've all given their fans a great deal of personal access and interaction. I know these pictures don't show much, but it's all I can do quickly right at the moment. 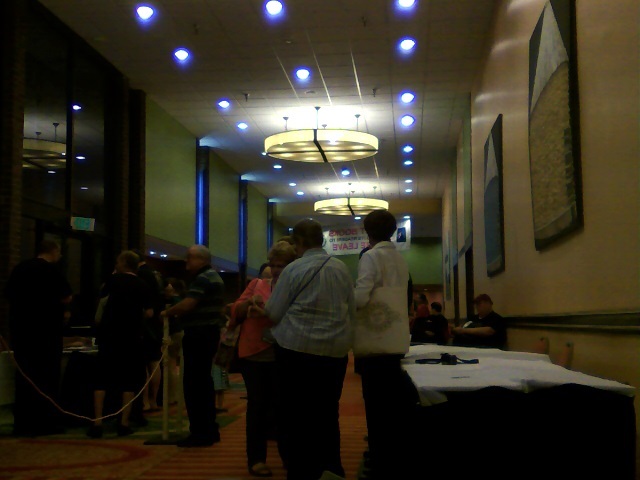 Teryl Rothery is somewhere on the left behind folks getting pictures signed. 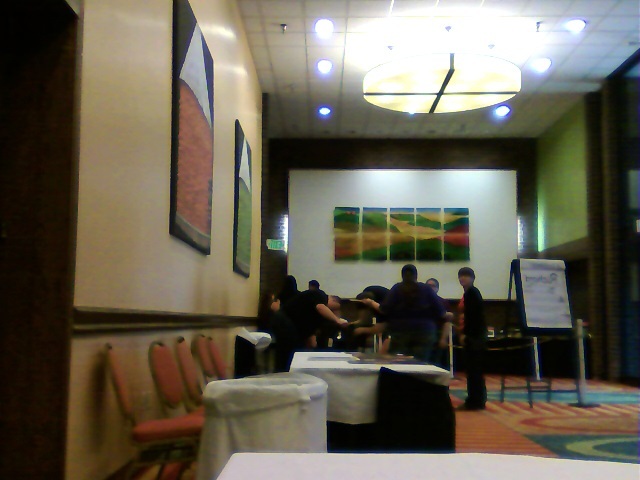 Richard Dean Anderson is taking care of the last few autograph seekers here. Both are very personable. Teryl said I looked like Bruce Boxleitner. If I ever meet him, I'll have to offer my sympathies!